Join Boris FX at the DELLiVR Conferences sponsored by DELL and produced by FMC. Get the ultimate VR/AR/360 production training and learn from the best in the field. We’ll be leading sessions at both the Los Angeles and London events. Discover how you can use Mocha Pro’s 360/VR optimized tools along with Continuum’s VR Unit to quickly tackle everyday 360 post-production tasks including object removal, stabilization, fixing flicker, adding blurs, and more. Los Angeles, CA: June 16-18, 2019 — Mary Poplin will be presenting an Advanced 360 Post: Removing Objects & Working in Stereo session. 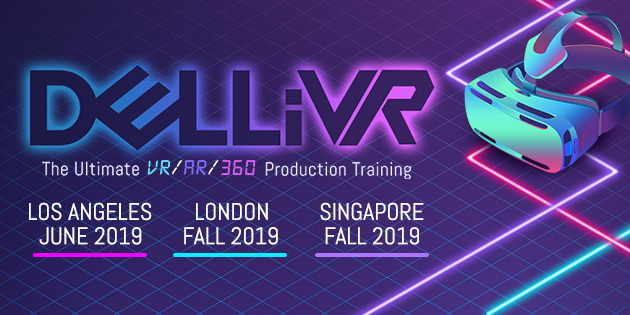 London, United Kingdom: Fall 2019 — Dan Harvey will be presenting an Advanced 360 Post: Removing Objects & Working in Stereo session.